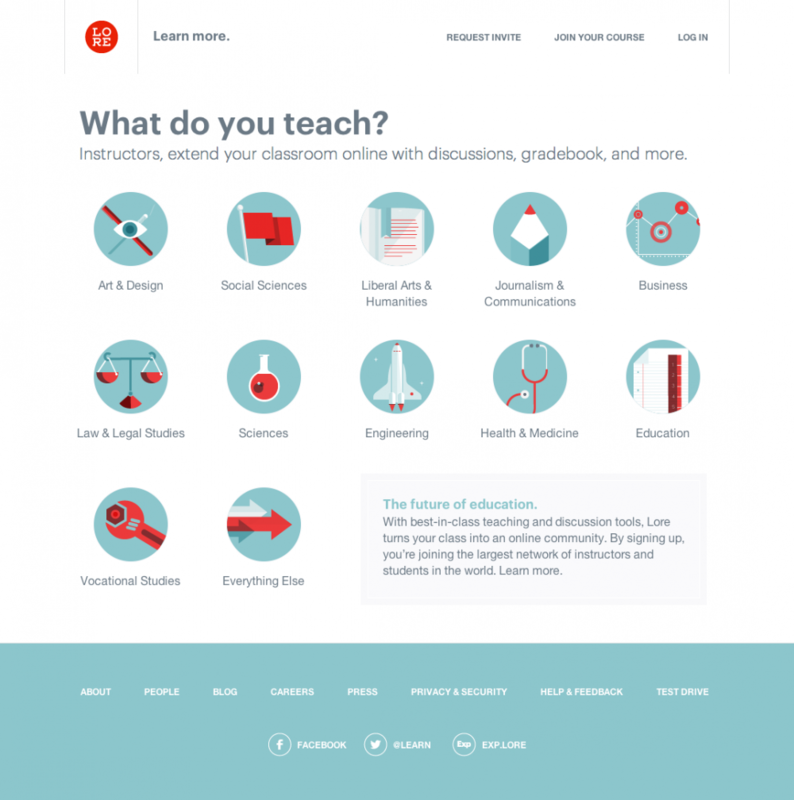 In order to relate Lore to what instructors have passion for, we devised a dozen landing pages with content tailored for each. From illustration to use cases to product screenshots, each page celebrated the topic. My roles—Design Team Leader, Creative Direction & Design. Design Team—Joseph Cohen, CEO; Katie Koch, UX Lead; Matt Delbridge, Design & Illustration, Colin Dunn, Design.